Born in Antwerp, Belgium, in 1949, Professor Dr Jacques Steenbergen has been president of the Belgian Competition Authority since its establishment in 2013. From 2007 to 2013 he was director general of the Directorate General for Competition in the Belgian Ministry of Economic Affairs. He taught competition law at the University of Leuven from 1980 to 2014. 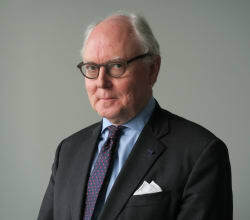 Before joining the competition authority, he was partner in the Brussels office of Allen & Overy, and he has been legal secretary to the President of the Court of Justice under the presidency of Professor J Mertens de Wilmars. He is a member of the Bureau of the OECD Competition Committee, a member of the board of editors, former editor-in-chief of the Dutch-Belgian European law review SEW, and a member of the scientific committee of the law review Concurrences. He is a former member of the Brussels and Flemish Bar Councils. He has lectured or given conferences and served on committees in institutes and universities in Austria, Belgium, China, France, Hungary, Italy, the Netherlands, Poland, Romania, Slovenia, Spain, Turkey, the United Kingdom and the United States; and was speaker or chairman at conferences in Australia, Brazil, Cyprus, the Czech Republic, Estonia, Germany, Greece, Japan, Latvia, Lithuania, Luxembourg, Malta, Morocco, Portugal, the Slovak Republic, Slovenia, Switzerland, and Tunisia. He publishes regularly on EU and competition law. He obtained a PhD at the KU Leuven and holds a masters degree in law from the KU Leuven (1972), and bachelor degrees or equivalent certificates in law, philosophy and economics from the University of Antwerp (UFSIA)(1969).